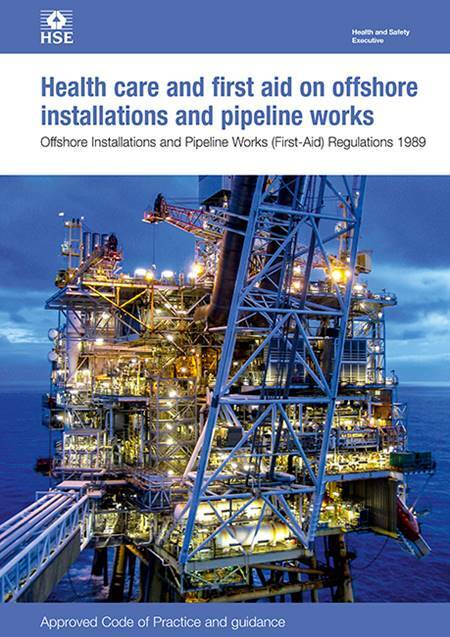 This Approved Code of Practice (ACoP) and associated guidance provides practical advice and will help you understand what you have to do to comply with the requirements of the Offshore Installations and Pipeline Works (First-Aid) Regulations 1989, (as amended in 1993, 1995, 1999 and 2015). It covers the provision of adequate first-aid and basic health care for all personnel, including visitors, who are injured or become ill while on offshore installations in the UK. It also considers the role, responsibilities and competencies of offshore medics and offshore first-aiders and the assessment of basic first-aid and healthcare needs. It contains full text of the Regulations, which, among other subjects, covers the meanings of 'work' and 'at work'. Appendices include an assessment of first aid and basic health care needs and the roles, responsibilities and competencies of offshore medics and first-aiders.